In every electric electronic articles and device we see or experience, the versions further tuned or an innovative design or model is launched breaking the possibilities of existing one which only again shows that technology never ends always continue.., we see each day or the next an article launched with advance Technology..,"
And when it is all about television what more can be done something advance LCD televisions, Led Telivisions finally 3D, and when every one tends to think what could be next? 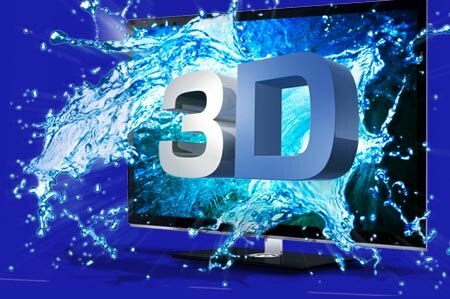 Toshiba The Tokyo-based Company unveiled the world's first high definition liquid crystal display 3-D television that does not need special glasses, the special glasses was the one of the biggest consumer complaints about the technology all this days. Electronics and entertainment companies around the world are concentrating on 3-D to fuel a new boom in TV, movies and games. Most 3-D TVs on the market today rely on glasses to rapidly deliver separate images to each eye, which creates a sense of three-dimensional depth. • viewers can enjoy images in three dimensions from various positions and suffer less stress," said in report. The result is precise rendering of high quality 3-D images whatever the viewing angle within the viewing zone," Toshiba said in its release. Current 3D-capable televisions require viewers to wear glasses that act as filters to separate images to each eye to create the illusion of depth, with key challenge how to enable groups of viewers to all see 3D from different angles at the same time without glasses. The system is similar to what's used in Nintendo's 3DS, the company's highly anticipated handheld device that features glasses-free 3-D gaming. 12 inches and 20 inches (designed for personal use). The technology isn't advanced enough yet to integrate into larger screens. Suggested viewing distance for the 20-inch model is 90 centimeters (35.4 inches) and 65 centimeters (25.6 inches) for the 12-inch size. The TVs will go on sale in Japan in late December, Toshiba said. They smaller version will cost about 120,000 yen ($1,400), and the larger one will be double the price.